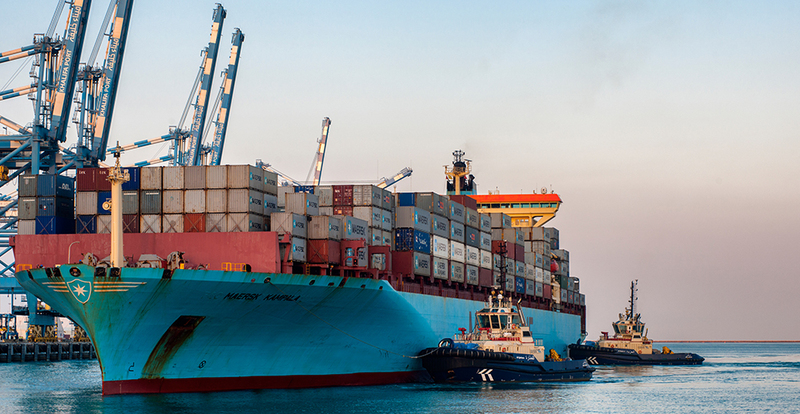 SAFEEN, the marine arm of Abu Dhabi Ports, has a strong reputation as one of the safest and environmentally-responsible service operators in the region. Formerly known as Abu Dhabi Marine Services, the subsidiary was renamed to SAFEEN (Arabic for ship) in June 2016. 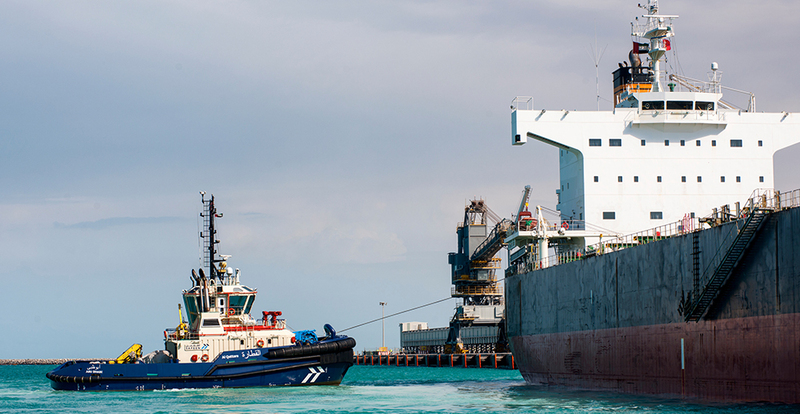 Our range of maritime and quayside-support services include vessel assistance, navigational support, inspections and shipping maintenance at Abu Dhabi’s ports and beyond. Our team of experienced pilots are available 24/7 and offer high quality but cost-effective services to provide utmost value for our local and global clients. We maintain all aid-to-navigation buoys and beacons along the coastline and waterways, ensuring the safe and efficient movement of vessels around the Emirate. 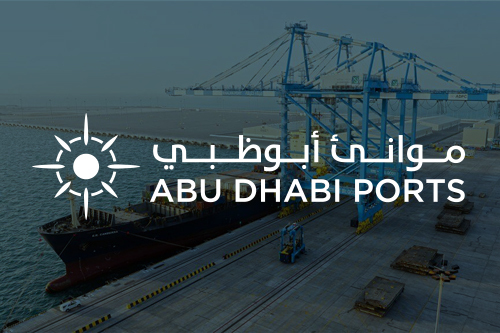 In line with Abu Dhabi Ports’ remarkable expansion plans, we aim to sustain the growth momentum and follow a community-orientated approach that is complemented by our professional staff and business partners. SAFEEN is approved by Federal Transport Authority (FTA) to provide IALA worldwide Aid-to-Navigation (AtoN) level -2 Services and comply with the national and international requirements as per guidelines of DoT, FTA, IMO & GCC Codes. In addition, SAFEEN regularly achieves industry distinctions from leading international bodies. This includes the International Maritime Organization (IMO) for safety management, the International Safety Management (ISM) certification and the International Standard for Maritime Pilot Organizations (ISPO) – the industry gold standard. We have also received the internationally prestigious ISO 14001: 2004, which recognises best practices in environmental management systems, and the OHSAS 18001: 2007 issued by Lloyd’s of London certifying us as best-in-class occupational health and safety in the maritime, shipping and logistics sectors. More recently, SAFEEN passed an important work safety milestone by clocking up some one million Working Hours without Lost Injury Time (LTI) – an important industry standard in demonstrating safe working practices. Abu Dhabi Marine Services’ (SAFEEN) was recognised for excellence in performance, winning ‘Best Government Service’ category at the Abu Dhabi Awards for Excellence in government Performance 2017, reinforcing the reputation of Abu Dhabi Ports and Abu Dhabi as a key maritime trade and logistics hub. SAFEEN wins the prestigious International Safety Management (ISM) certification from the International Maritime Organization (IMO). 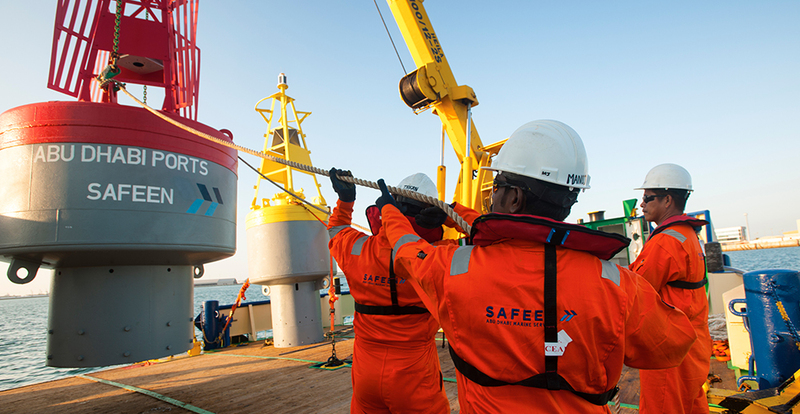 SAFEEN records over 7,000 Piloted jobs, 17,000 man-hours and over 50,000 vessel moves within the year. As part of Emiratisation, the company establishes the first ever, all-Emirati Marine Services team. 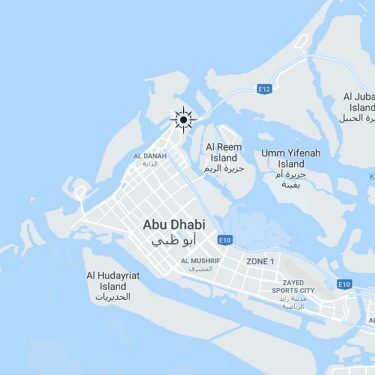 Abu Dhabi Ports establishes Abu Dhabi Marine Services (SAFEEN) a new and independent, 100% wholly-owned subsidiary; expanding operations to Khalifa Port, Musaffah Port and the Western Region.